This post should be read in conjunction with this earlier post on the advantages of conract based schemes. 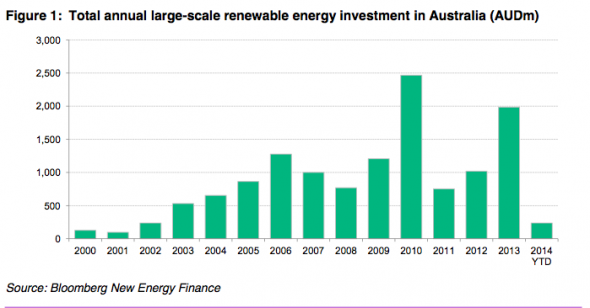 RET driven investment in large scale renewables driven essentially stopped as soon as Abbott starting raising doubts about his support for the RET well before the last election. Some will want to argue that renewable power will always be expensive. However, people like to own their own homes because an owned home becomes very cheap accommodation once the mortgage is paid off. BOOT contract schemes could allow something similar to be done for renewable power. The BOOT contract allows the builder to get a reasonable return on capital before transferring ownership to the government as a source of very low cost power. Maybe the noise has finally reached the government that their policies are not welcome. Dare to hope. Geoff: I read somewhere that Abbott assumed that the RET was just as unpopular as the carbon tax and would be easy to roll. Problem is that the Howard government’s RET scheme has been working well for years without the sudden jumps in power prices associated with schemes that depend on putting a price on carbon. The masses may also be starting to realize that removing the carbon tax is not going to make the massive jumps in grid charges go away. Strange if Abbott thought the renewable energy target was unpopular, because surveys seem to consistently show that it is popular. Maybe he thought he’d convinced everyone that climate change was “crap” so they’d all forget about it. The negotiations come as figures released by Cedex show that total emissions in the national electricity market were 1.3% higher in the month to September 2014 than they were in the month to June 2014, which was before the removal of the carbon price. Generation of brown coal, the most carbon-intensive type of coal, was 2.2% higher in the year to September 2014 compared to the year to June 2014, the figures showed. Doesn’t seem to have received much coverage. As usual, I feel such rage at this benighted government. Val: The polls keep on showing that a majority want climate action. In addition, the number of households with rooftop solar is quite high (>20% in Qld.) which suggests that people are putting their money where their mouth is. I think that the Tea party had convinced people that taxes are BAD and that the carbon tax was bad because it was a tax and besides Julia had fibbed. (The RET is not a tax because it generates no government revenue but I guess most people don’t understand that.) 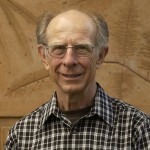 He had also convinced many that the big jump in power costs was due to the carbon tax. Abbott’s problem now is that people are going to receive very little saving due to the end of the carbon tax and Abbott’s lies are beginning to catch up with him.